Email is the process to send and receive messages electronically over the internet. Every social network and online forums require email account for verification purpose. Anyone with a valid phone number can create an email account on Gmail, and this requires only a few seconds. You can create up to three email account with the same phone number on Gmail. Every knows that Google provides a fully secured Gmail service with a great user-interface, unlimited storage, two step verification and IMAP or POP service that can fulfill your all requirements. To provide better security, Gmail requires a valid phone number so that they can verify your real identity. This verification also helps Google to stop web spammers who creates a bunch of email accounts for spamming. As a blogger, I always need a new email address to provide services to my clients. And this mobile verification stops me from doing so. And so I needed to find out an alternative to Gmail. And then I stumbled upon to Yandex email which requires no phone number verification. 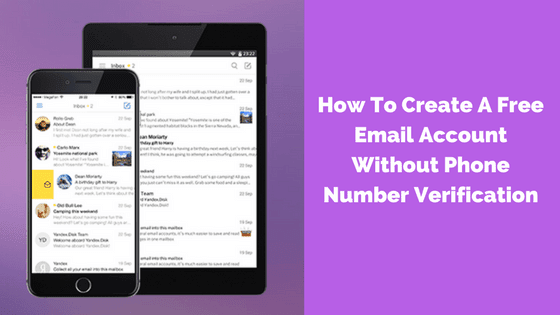 And in this guide, I am going to show you a brief guide to create a bunch of emails accounts on Yandex email. 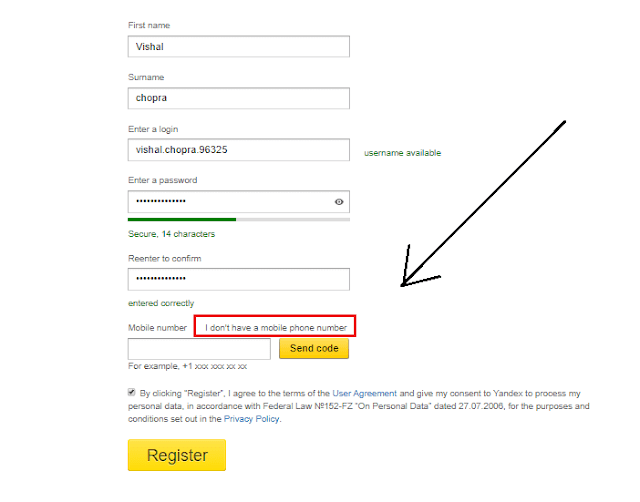 How to create a Yandex email account without phone number verification? 1. The very first thing which you need to do is to visit Yandex email sign up page, click here. 2. You will see there a form which you need to fill up. 3. Then, fill all the required field. 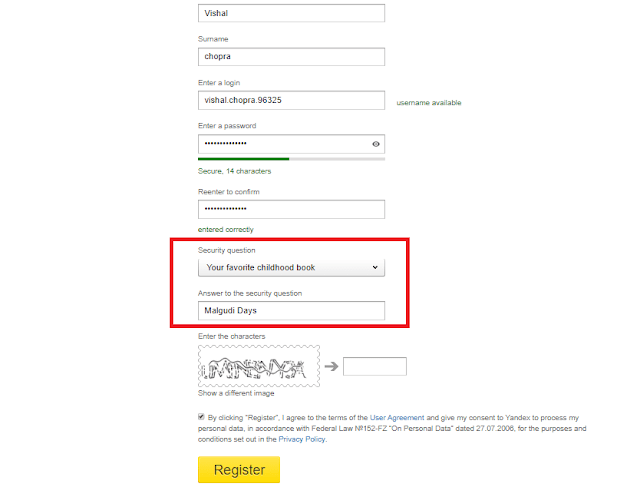 While filling up the form, you will have an option, 'I don't have a mobile phone number.' (This option is just located just above the mobile number field option.) Just CLICK on it. You can see in the below image. 4. Now, Yandex will not ask your phone number. In an alternative, they will ask you to select a security question to protect your account. So, from the drop-down menu, select a question and then add the answer. 5. Now, solve the Captcha. And click on register. That's it. To be honest, My all Yandex email accounts are phone verified. I know 'A question came to your mind,' Why? The reason is that I have more than ten Yandex email account, and sometimes I forget the password. And phone verified account helps me to recover the account. But You will surprise to know that I did not use my personal phone number or home number. Though, I have verified all the account with a disposal phone number. You can get thousands of mobile number of any country in just a matter of seconds. Just navigate to here. These disposal number just works perfectly in Yandex email. I am not sure that this trick will work on all the sites. But for me, it is working in Yandex mail. Just grab a number and then verify your account. You can also use to recover your email account if you forget the password. *Disposal number is just like a regular number which you can use anonymously to receive messages from anyone on the internet. Thanks. I hope that the above step by step guide helped you to sort out your problem. 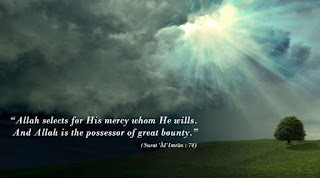 If you have any queries in your mind, then you can comment in the below comment box.